Croatia is fast becoming a popular choice amongst luxury holiday-makers with its glistening blue coastal waters, numerous beaches, stunning scenary, historic sites, cities and vibrant culture. With so many things to see and do in Croatia we’ve outlined our top ten reasons as to why you should visit this summer. The coastal city of Dubrovnik is a great choice for both a city-break and longer stays with the captivating Old Town’s narrow stepped alleyways and Gothic Renaissance architecture. There are is an abundance of markets, boutiques, bars, restaurants and cafes for you to enjoy and a leisurely stroll down Stradun or Placa promenade is recommended. A must is to take the Mount Srd cable car which offers exceptional views over the city and across to the sea, known as The Pearl of the Adriatic. Visit our post more more things to do in Dubrovnik. Croatia’s largest city and capital, Zagreb, is a fantastic place to visit on your holiday. With both historic and modern attractions and zealous culture it is a great way to experience Croatia. The Upper Town is more historic with medieval churches, museums, art galleries and cobbled streets whilst the modern district offers cosmopolitan vibe with restaurants, theatres and shopping centres. If you are one for a spot of exploring then Croatia is a great place to visit with 1,185 islands off the coast of which 66 of them are inhabited. 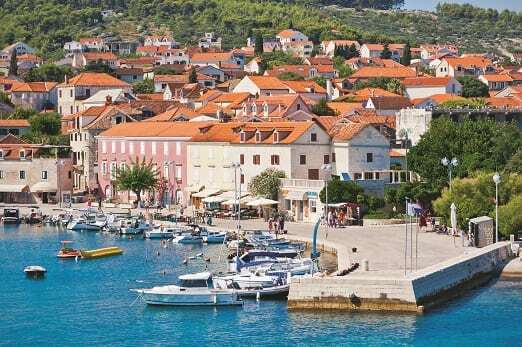 Hvar Island is perhaps the most well-known and is a favourite amongst wealthy Croatians and Italians. Easily reached by ferry from the mainland you can view the delightful scenery, dine at one of the superb cafes and restaurants in the busy harbour or visit the 16th century St Stephen’s Cathedral. 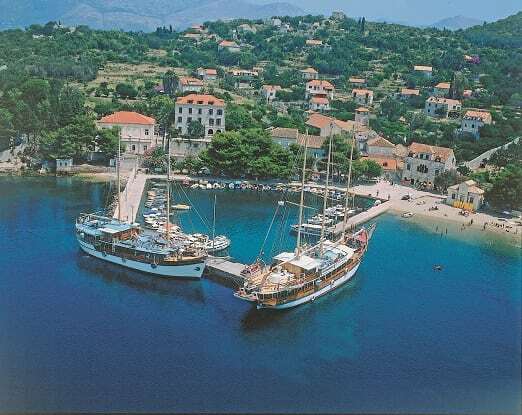 Other popular islands include Brac which boasts excellent beaches and is favoured by watersports enthusiasts, Rab which offers a charming medieval town and beaches or, the island of Lopud is ideal for those wanting a daytrip to the mainland. Following on from the previous point an excellent way to experience Croatia and see the islands is by boat. The stunning Adriatic Coast is best explored by sea with small bays and coves on the smaller islands to discover and tempting blue waters to swim in. For beach-lovers Croatia’s beaches are a true haven with some of the cleanest in Europe and a number which have been awarded the Blue Flag status. There are a handful of sandy beaches but most are shingle which ensures the waters are crystal clear. For those looking for a sandy beach with excellent amenities then visit Lapad beach in Dubrovnik which has a supervised swimming area, trees for shade and a restaurant. For watersports, head over to the island of Brac where you will find a range of centres. 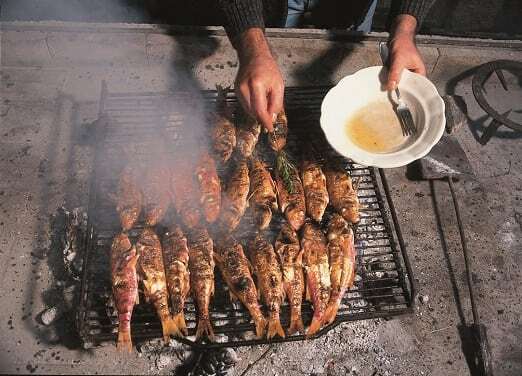 Croatia’s cuisine is fantastically varied and quite region dependant with many influences taken from the neighbouring countries. The coastal towns offer Mediterranean inspired dishes and charcuterie, prepared meats, are part of all menus across the country. Traditional dishes which are a must to try include Pršut, a dry-cured ham served with cheese or olives, ispod peke which is a method of cooking lamb, octopus or veal in a stone oven under a heavy metal cover and crni rižot, also known as black risotto, a specialist Dalmatian dish made with cuttlefish or squid which uses squid ink to give it its black colour. The weather in Croatia, especially on the coast is typically Mediterranean with long dry summers and mild winters. Inland the temperatures are a little harsher without the sea breeze but still pleasant. With temperatures reaching around 30 degrees it is perfect for those looking for warmth and sunshine without the extremes. 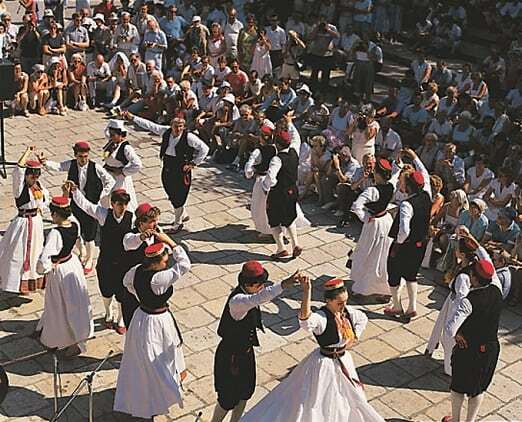 The lively Croatian culture certainly knows how to put on a show with music festivals, carnivals and parties. There are numerous events to choose from which take place across the country and for more information have a look at our Events in Croatia. Those who have already visited Croatia can tell you that the country has some of the most stunning scenery in Eastern Europe. Krka National Park is by far one of the most beautiful with natural cascading waterfalls, wildlife and historic sites, the park can be easily reach from Split by bus or car. 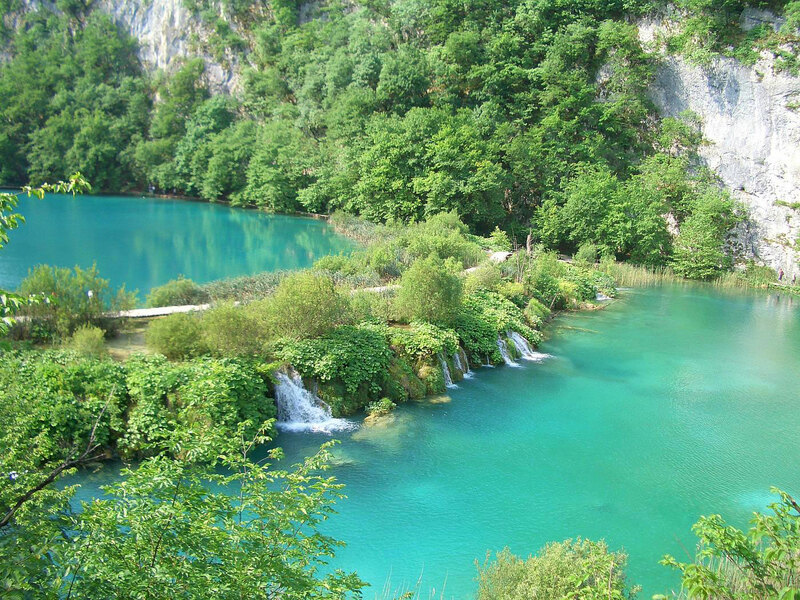 Another park which will leave nature enthusiasts breathless is Plitvice National Park where you can wander through lush forests, waterfalls and magical lakes. Croatia currently boasts a total of seven listed UNESCO World Heritage Sites including the Historical Complex of Split and the ruins of Diocletian’s Palace and the Old City of Dubrovnik. 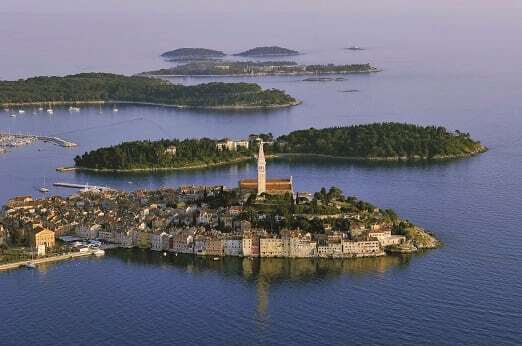 There are numerous historic sites to explore including Pula Arean, a fantastic Roman amphitheatre, the delightful town of Korcula and picturesque Rovinj to name but a few. There is an abundance of luxury four and five-star hotels in Croatia to accommodate you during your stay. Located on a rocky peninsula down from Dubrovnik in the small town of Cavtat, the five-star Hotel Croatia which boasts superb views and is in a great location for exploring the area with the city and a harbour nearby. 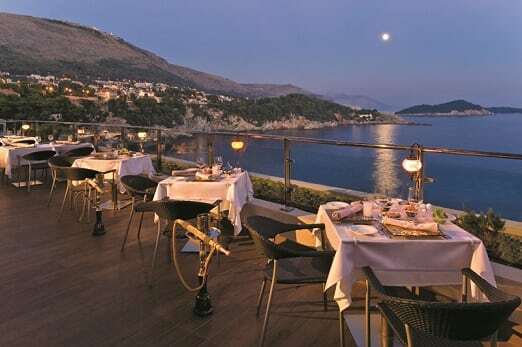 The Rixos Libertas Hotel in Dubrovnik is an excellent choice for those looking for five-star accommodation in the city. This contemporary hotel is just a stroll from the Old Town and boasts a range of amenities for you to enjoy. Is this a good location for walking and running? Hi Steve! Thank you for your comment. degrees Celsius so take care when hiking or running.